4” 6” 8” and 10” round tiers. 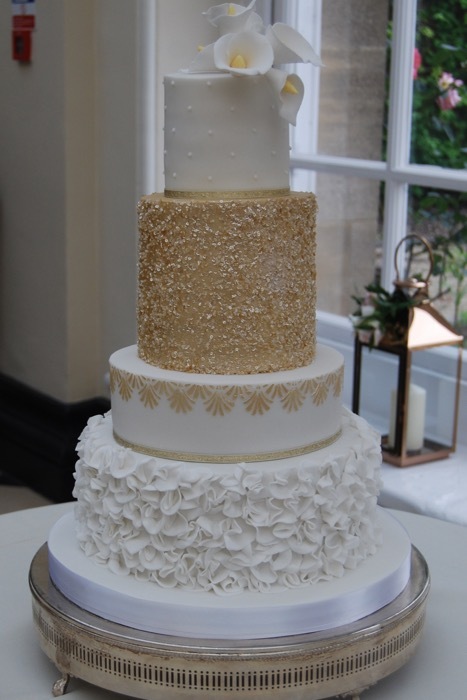 Handmade sugar calla lilies, royal icing piped pearls and edible sequins. 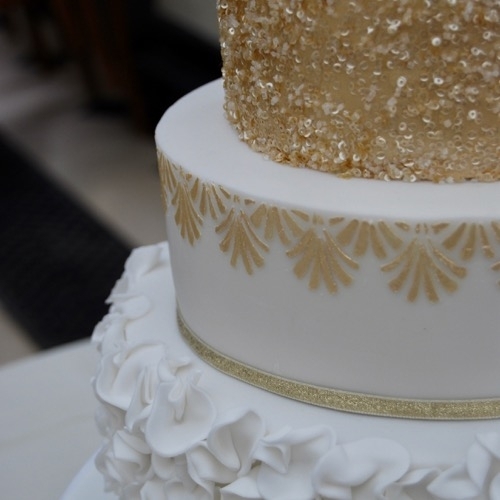 Royal icing stencil design, hand painted with edible gold and handmade sugar ruffles.